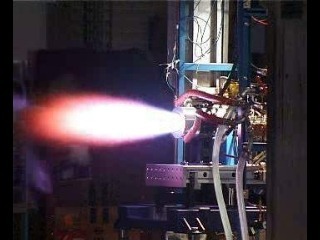 The Swiss Propulsion Laboratory (SPL) has extensive developing cheap and reliable rocket propulsion systems using non-toxic propellants. SPL is supporting the design and testing of a new throttlable engine based on non-toxic propellants for our mission in Google Lunar X PRIZE (GLXP). Below is a news story about SPL by Swiss broadcaster MTW. Right from the beginning we realized that this would need a big team. Projects with unpaid team members are never easy, and landing a rover on the moon and sending back high quality video and photography is probably one of the most challenging volunteer projects ever attempted! The first order of business was to tackle the IP issues. How can a distributed team of unpaid people be confident that they will get whatever rewards they are looking for from participation in such a project? Well, it wasn't easy but through lots of discussions we finally converged on a way to keep people motivated. Also, early on we recognized the challenges with the information system. We investigated some different options but we eventually settled on using a wiki framework for keeping track of general discussions and an https secure web folders for our detailed documentation and larger files. We are continuously evaluating other options however, and we may later switch to other solutions or add new elements to our information system. Google Sites (http://sites.google.com) looks interesting and we are just starting to see if it will meet out needs.